Metallers EMMURE have recently released a new music video for “Protoman” song from their upcoming album, “Slave To The Game“, which will be out on 4/10/12 via Victory Records. The clip produced by Frank Nasso. . 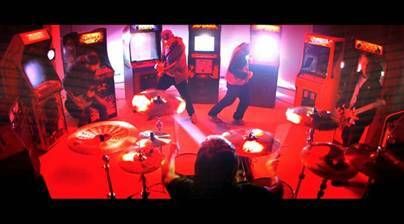 This video features the band rocking out in an 80’s throwback arcade, as a tribute to their youth and gamer lifestyle. EMMURE’s energetic breakdown-oriented sound encompasses many various metal influences. The video is sure to give the viewer a glimpse into EMMURE‘s colorful performance. You can watch the video on Vevo. American metallers WINDS OF PLAGUE have recently announced new European tour in this summer and also metallers EMMURE will join them in some shows. You can check out the show dates below.